Hackers have hundreds of ways to steal your password. Your servers can be accessed freely by hackers. How MultiDeskEnforcer protects your servers? 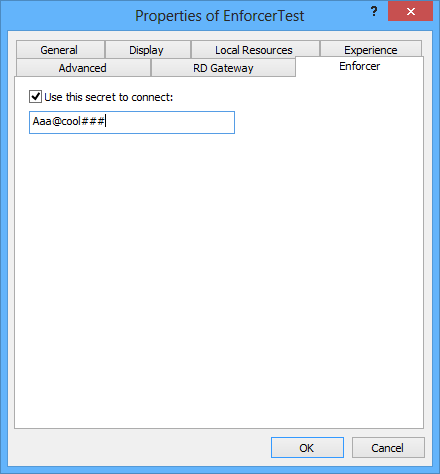 Everyone can RDP to your server with correct username and password. 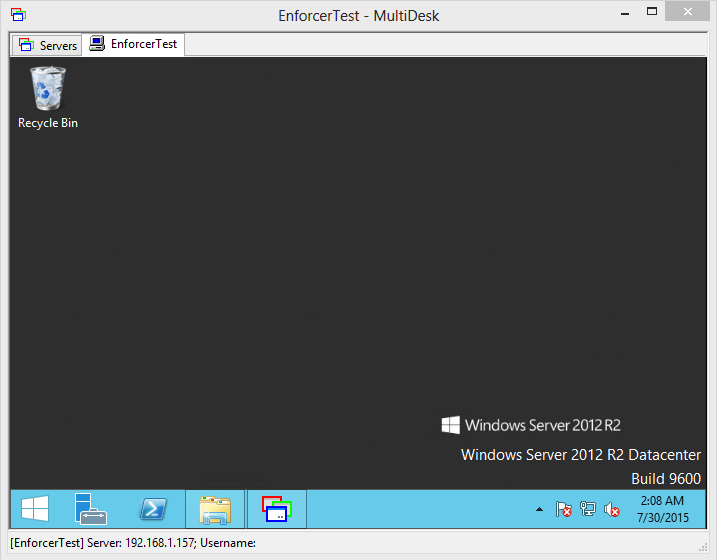 Now with MultiDeskEnforcer installed, it will check for the shared secret sent from client. Without correct shared secret, connection will be disconnected immediately. 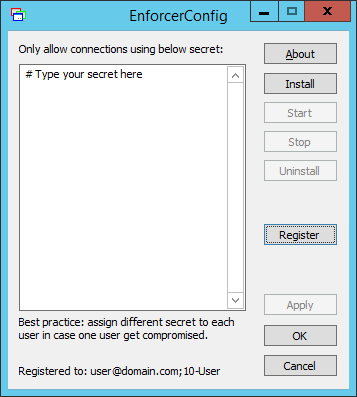 Input your shared secret, then click button "Install", "Start" to run MultiDeskEnforcer. Try connect to this server via MSTSC, you will be disconnected. 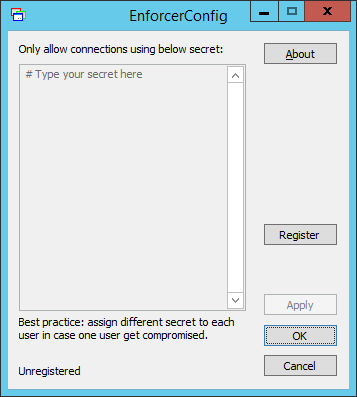 Input shared secret in MultiDesk 'Enforcer' properties. * Due to technical limits, 'Connect group' may not work properly with shared secret. To workaround it, click reconnect. Includes 1 year of software updates and technical support. Your order will be handled within 2 business days, thanks for your patience!